Celebrate National Poetry Month. Create your own poem! No writing required. Instead of starting with a blank page, start with a page full of words and cross out the ones you don't want. 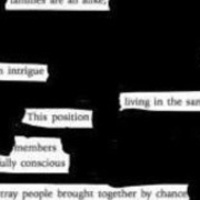 Visit the library anytime in April to create your Blackout Poem.